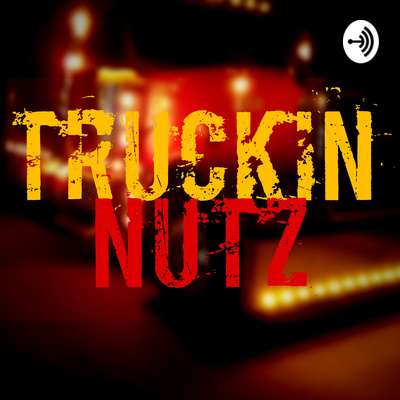 TruckinNutz is a podcast produced on the road. It is about my life as a truck driver, father and husband. Better buckle up cause the road we’re on ain't on no map! Check fluid levels: oil and coolant levels. For the pre trip, look for oil, fuel, coolant, power steering fluid leaks… leak is either a problem or a potential problem. Make sure caps are tight for the rad, oil filler, power steering fluid and the dip stick is seated properly. Observe at the engine block. Check for leaks, fluid running down the side of the engine. Look at the hoses. Check for wear, cracking or fraying. Inspect fan belts for proper tension and signs of wear. Take a look at the engine fan. Make sure there are no pieces out of any of the blades. Look for any exposed or bare wires, or wires which appear out of place. It doesnt hurt to just grab wires and hoses to to a small tug to make sure they dont pop off. Just dont yank on them like you are trying to pull them off. Check windshield wiper fluid level. Scan steering axle tires for uneven wear, nails, chunks, etc. Take a look at the shock absorbers, ball joints and king pins for wear and proper lubrication. Observe all tires on your rig as well as the trailer. Visually inspect the airlines and electrical cord, to ensure they are properly connected Visually check the 5th wheel to make sure it’s coupled to the trailer Brake pads. Look for good thickness. Brake adjustment indicators. Look for proper positioning. Look over the entire unit thoroughly for body or structure damage. Start the truck (if it isnt running) Depress the clutch and start the engine. ( in neutral) Observe gauges to be sure oil pressure is good and electrical system in charging Gently ease the clutch out slowly and carefully, just in case there’s a problem (if you do this too quickly, you could launch yourself across the parking lot). Do not high idle the truck right away. Let it idle normally. Glance at the gauges again to ensure all is ok and air pressure is building. Turn on all lights and flashers and exit the vehicle. Do a visual of the motor, looking for leaks Observe belts for proper tension and that they are turning properly Close the hood and lock it down. Circle check the vehicle again Be certain all lights are working. In the truck, use a piece of wood or find a way to depress the brake pedal, so the operation of the exterior lights can be checked Listen for air leaks as you walk around the unit. Remove the block of wood from the pedal, turn off lights not needed. You can now support me directly. If you wish me to get rid of the sponsors then please consider supporting me. You can now support me directly. If you wish me to get rid of the sponsors then please consider supporting me. The website https://boneheadmedia.com is now live and holds all the extended show notes. This episode was originally produced back in 2017. In this episode we discover that Cliford has quite the sense of humour and has some semblance of emotions. We also learn that his name stands for Certified Linux Intelligence For Organix Research and Development. He is a 2nd generation A.I.known as an Organix organism from the year 2034. Plus stats on the Freightliner Classic XL that he is embedded into. A quick review of Netfix's Bird Box, my opinion on the stupid argument of the "Legends of Podcasting" bad mouthing Anchor. 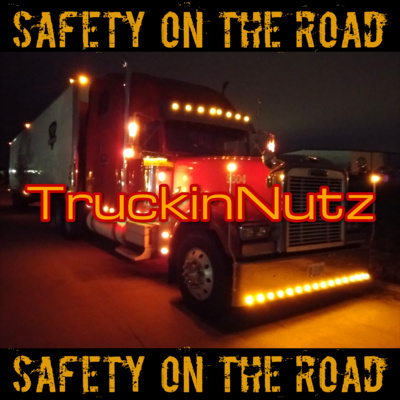 How They have based to their argument from a false perspective and the future of TruckinNutz and my other podcast Driving Common Sense. Yesterday went to hell, wife broke her arm, the podcast is distributed to more places and I gotta fricking work this weekend. All that and more on trays episode! You can email me at unklebonehead@pm.me. You can find me on Facebook, Twitter, Instagram, Minds.com etc. Do you have a question about truck driving and using the Anchor.fm app? Just send me a message right from the app and I am happy to answer anything! Home time is the hardest. You get home and have to unwind. You don't want to be socialable. You don't want to talk with anybody. Then when you do unwind and are ready to be socialable it's time to get back into trucking mode and the depression and anxiety of having to leave sets in. 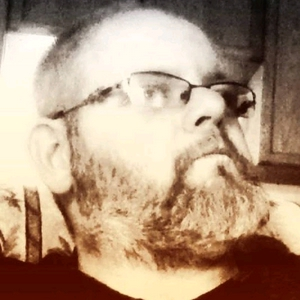 Just going through and playing with the web interface and phone app. Works good and just waiting to hear back from Anchor on answers to a couple of questions from support and I may just drop anchor here at Anchor. (Yes, you marketing guys can use that, lol!) HOLY COW! The segment recorded on the phone sounded better than the MXL990 condenser! Phone is a LGG6. Didnt use the blue tooth but I will try that while on the road this week.